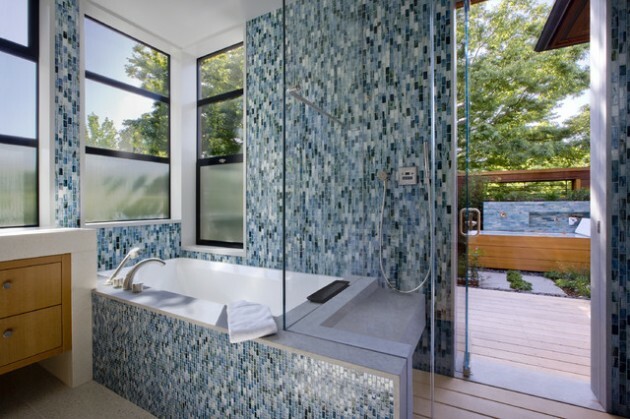 Bathroom designs, where instead of the ordinary, we use mosaic tiles, is very interesting and gives a very nice look the space. 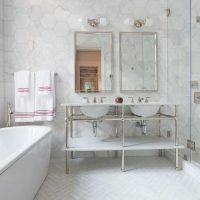 On the first sight, everything looks like tiny pebbles that are woven to each other, but that makes them to stand out from the classic tile layouts. 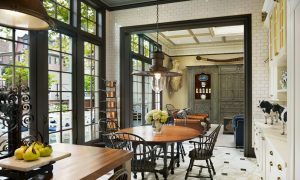 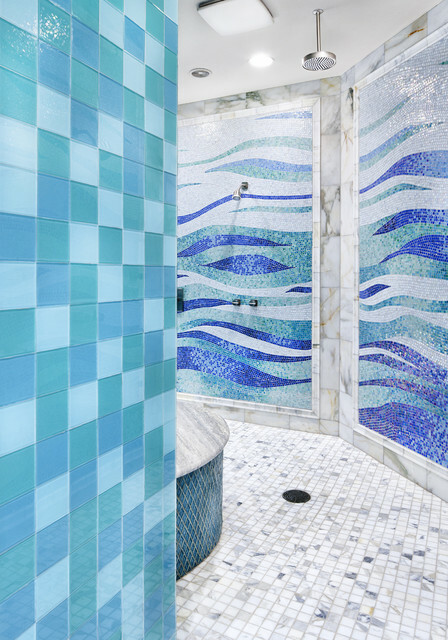 There are pieces of mosaic tiles, which you can set like the classic, just the effect is different, and you can design by yourself your own mosaic, that can adorn the central part of the bathroom. 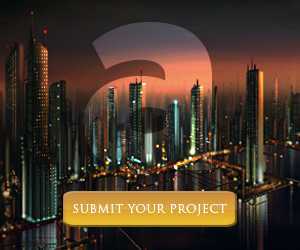 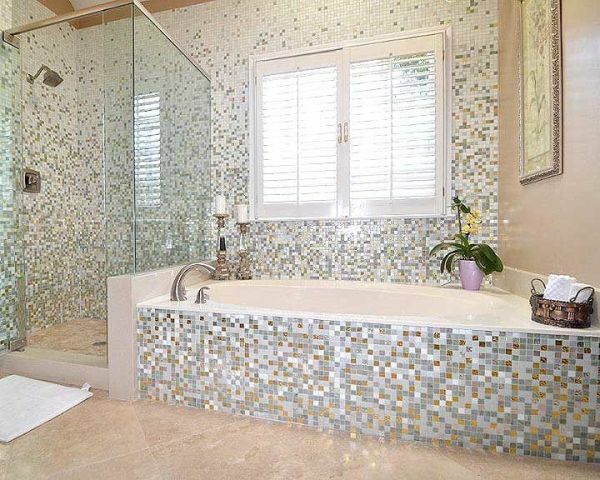 That mosaic need to be done by masters, which can assemble mosaic from various pieces of tiles. 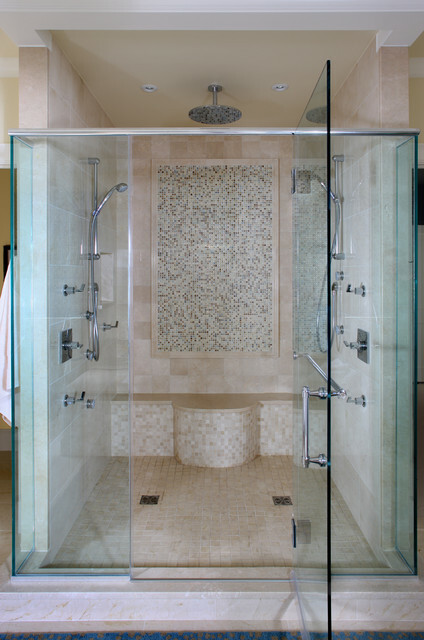 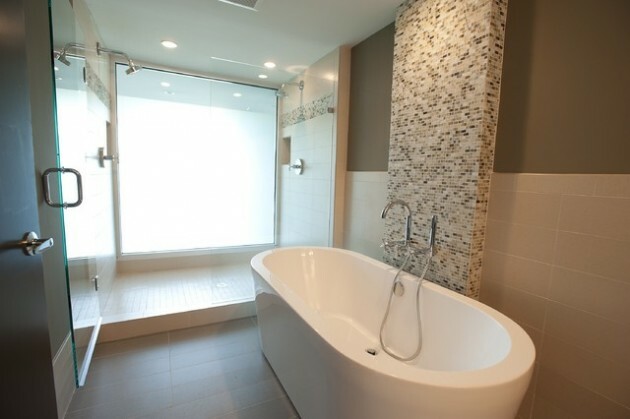 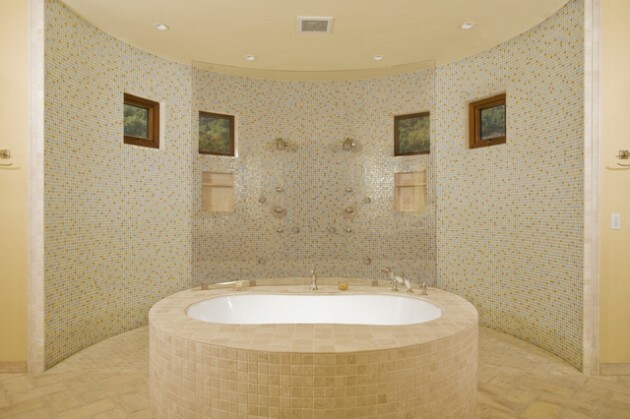 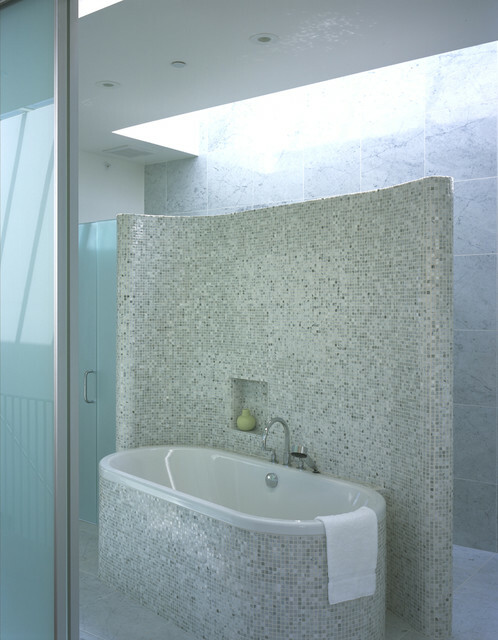 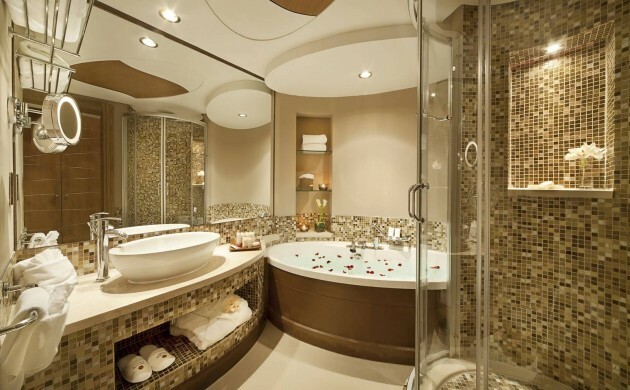 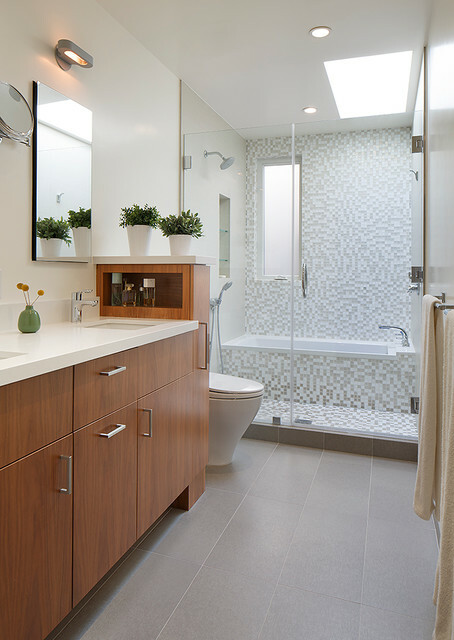 The entire surface of a bathroom can be with mosaic tiles, the walls and even the bathtub. 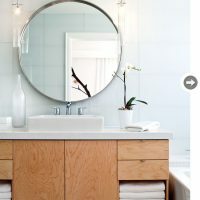 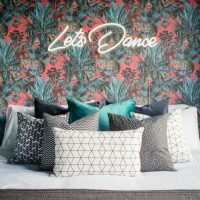 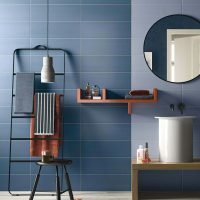 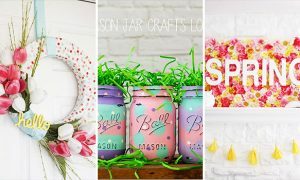 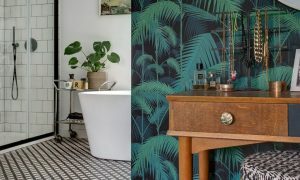 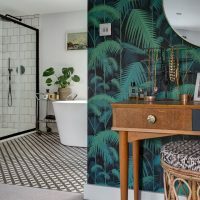 You can make shelves with mosaic tiles, which will serve as storage for towels and toiletries, mirrors, make-up and other things that usually stand on shelves in the bathrooms. 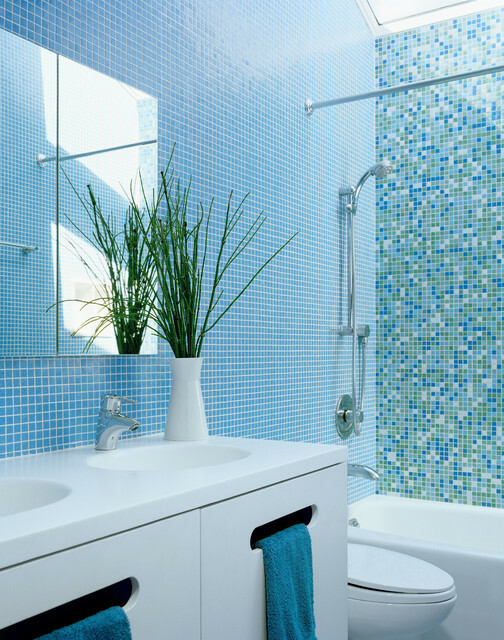 You should take into account the colors of mosaic tile, if there are too many different shades, it can be caused discomfort at the bathroom. 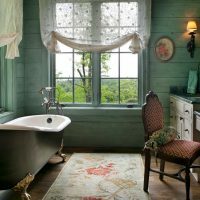 It is better to choose similar shades, and not go from one extreme to another. 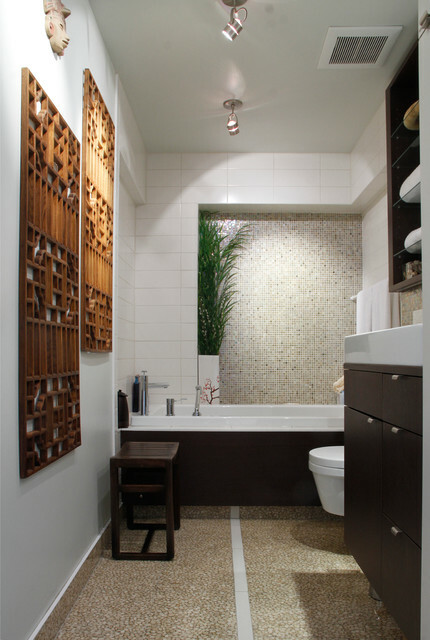 You can use warm earth tones, with a metallic glow, that will give the bathroom a luxurious appearance.